Hello Tapscape readers! I hope you are all doing great! 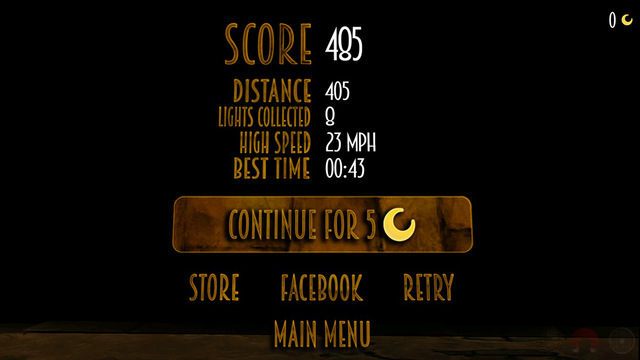 Today we”ve got another game review for iPad and iPhone called Light Run. 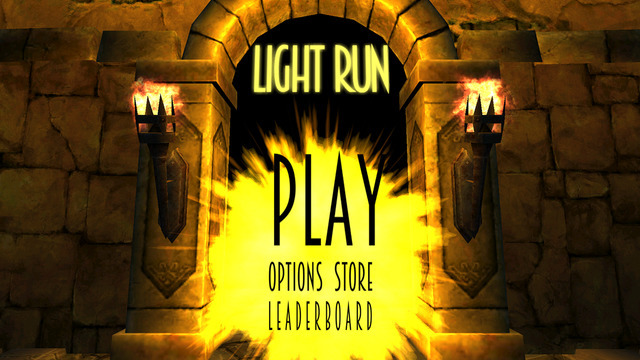 Light Run is developed by Gossip and I”ve had plenty of fun playing this game. So without further ado, let”s dive into the review. 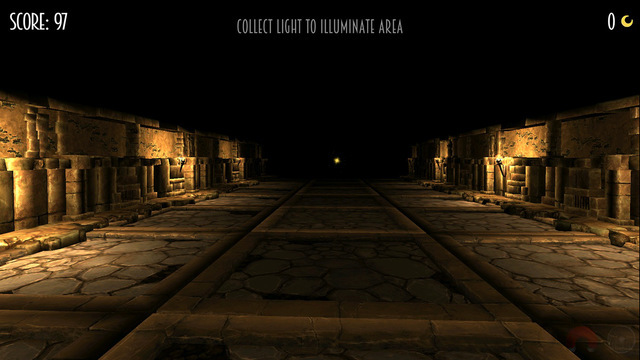 In Light Run your objective is to escape the darkness and get as far as possible. The game is set in a very eerie temple-like place with shadows crawling everywhere. There are three lanes in which you can run and you can switch these lanes by swiping the screen left and right. There”s a lot more to the game, however. You can jump and crawl by swiping the screen accordingly, evading roadblocks and wooden planks that block entrances for example. This has been done in apps like Temple Run and Subway Surfer but Light Run has some interesting aspects that are unique to it. For example, you”ll have to collect light orbs throughout your run or the screen will slowly get darker. If it”s too dark you won”t see where you are heading and bump into a roadblock sooner or later. When the going gets tough there are power-ups that assist you in your run, like a shield that prevents you from dying in best online casino one hit or even night vision that allows you to see everything perfect. These power-ups can be obtained by running in the game itself, which I think is a wonderful thing as it is another way of obtaining them without directly paying for the power-ups. 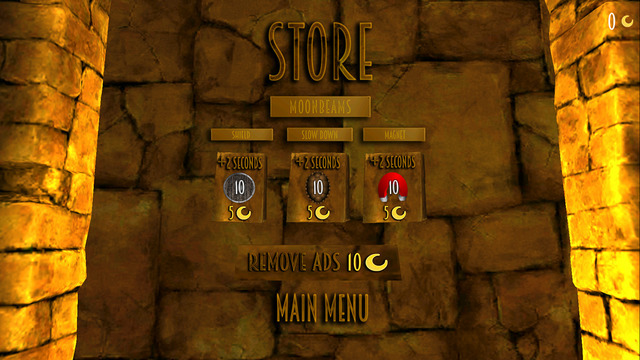 You can also watch ads to get the in-game currency to purchase these power-ups so Gossip has made sure Light Run is really player friendly. It”s good that Light Run has some distinctive things going for it, as else it would be kind of dull because the running game concept has been done so many times already. 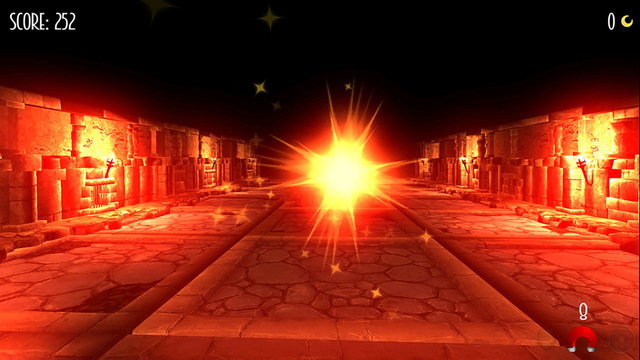 The collecting of light orbs to illuminate your path gives the game something really exhilarating and I like how fast the game speeds up the run keeping the player on the edge of the seat. If you”re looking for a fun new competitive game you should definitely check out Light Run by Gossip, it”s original and difficult in a great way so I can recommend it to everyone.